Firstly, it’s good to know that every food item can be broken into three main contributing nutrients- 1. Carbohydrates, 2. Proteins and 3. fats.The ratio of these three varies for every food item. So, basically every food that we put in our mouths have these three main nutrients and the rest being minerals,vitamins,water, antioxidants and others. Carbohydrates are basically sugars or saccharides ie. a molecule of sugar consisting of carbon, hydrogen and oxygen in chains.When we eat carbs, our body breaks it into simple sugars which are absorbed in our bloodstreams. As this sugar level rises, the pancreas create a hormone called Insulin which helps in moving this sugar from the blood into the cells where it can be used as a source of energy. Basically…fruits, vegetables, lentils, breads and other staples all have carbs. Now which has more carbs or which has less…may not matter as much as what kind of carb. Yes, that’s right-one way to classify carbs would be -simple sugars and complex starches. Another way to classify them would be according to the glycemic index( how long it takes to convert carbs into simple sugars in the body). Some more factors go into the making of ‘good for health’ carbs like fiber content – For eg. usually one would think that complex carbs are better, but not always so. Fructose( fruit sugar) is a simple carbohydrate but is low on it’s effect on blood sugar and therefore,makes it to the category of ‘good’ carbs. Now, depending on one’s physical condition and activity levels, carbohydrate intake is recommended. Eating 'Good' carbs is good! Confused? Well, don’t be because choosing the ‘Good’ carbohydrates is wiser than “no carbohydrates”. 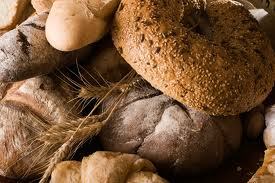 Examples of ‘good’ carbohydrates being fruits, milk, multigrain and wholegrain cereals, vegetables, beans/lentils. Is there really a reason to avoid these? Not at all. One can’t even fear over indulgence in these because of their compositions.Unrefined and unprocessed carbs is a good way to remember ‘good for health’ carbs. Keeping in mind that we eat in balance, which would mean about 50% nutrition coming from carbs, we would lead energy filled lives. Since most of us are not athletes, we need not eat staples like rice, bread or pastas ( I’m assuming it all by now to be brown, wholegrain and whole wheat in that order) at each and every meal in case we are looking for the famous six pack abs. Getting our handful from healthy fats like nuts and seeds and lean proteins like plant based or White meats is enough to keep us going ……and going very well indeed. India needs a special mention here as it is definitely a land of high carbs. ‘Dal chawal’( rice and lentils), samosas, bhel puri mix, dhoklas, papri chaat, nan/paranthas,bhujia, dahi bhallas, sambar dosa, idlis, vadas, matar kulchas, choley bhaturey, pakoras,pulao, biryanis, aloo tikki, bondas- phew, the list goes on! These are examples of high carb foods and some are even fried, so no doubt our palates get used to these flavours and textures. A great idea would be to have these at breakfast or during high activity times (and frankly never say ‘never’ esp. when it comes to food). Unless of course you don’t mind a pudgy look in the midsection…how often have I seen lean and slim cops ( and other people of course) with a huge potbelly. Sure there are other reasons for that but one more cause is definitely the high carb diet. It’s easy and a surefire way to satisfy a hungry stomach. A sensible diet eludes our fast food restaurants but options are still around, only if we care to look. For if we do otherwise and team it up with a sedentary life, our bodies accumulate toxins, triglycerides, unhealthy fat stores which lead up to various diseases. Darn it if we were to think “tasty food= unhealthy fare”. Look around- can we really go for all the negativity around and expect to come out unharmed? It’s time to wake up. Shaloo Dogra is a wellness coach and director at Epicurean Hospitality Services Pvt. Ltd. in Gurgaon, India. She has been part of the hospitality industry for almost 20 years providing food solutions to industries, institutions and for events. She is dedicated to structured consultation for individuals for fitness, nutrition, intermediate level yoga and meditation. For more on this, please see her website: www.shaloodogra.com She is married to Rajat Dogra and has two wonderful boys aged 16 and 13. This entry was posted in Nutrition and tagged carbohydrates, carbs, good carbohydrates, Healthy food, sugar. Bookmark the permalink. One Response to What about Carbs? Very interesting points you have remarked, regards for posting . “Success is a journey, not a destination. The doing is often more important than the outcome.” by Arthur Ashe.